Unbelievable! I have not posted on our blog for over a year. It has been a great year - full of family activities, house construction (and destruction), sports, plays, vacations... Having four kids is so crazy fun. As I was leaving my kids' piano lessons a few weeks ago, all four kids were talking to me at the same time. I was smiling and nodding and giving appropriate "ohhh" & "wow" - an older woman came up to me and said, "My goodness! You look as tired as I feel!" The sad thing was, I didn't feel tired at all! That's the life of a mom of four. What has brought me to blog today is a comment I received recently from one of my posts. I cannot seem to get to the other blog to respond. So... Michael, I would love to chat with you about your adoption of a little girl from Vladimir. Please give me your contact information and I would be more than happy to get back with you! Tess is doing awesome! She's a blessing to our family and makes us laugh every single day. I could tell a million stories about her, and still miss a few! 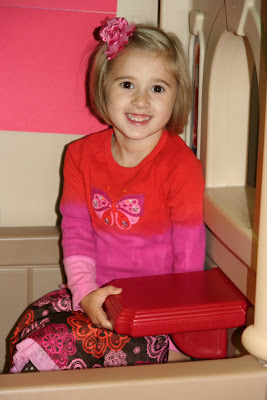 She starts kindergarten two weeks from today. Amazing that only 18 months ago she didn't know one English word. Now she's more than ready to start kindergarten. Such a smart and beautiful little girl! I hope to post more soon. I forgot how much fun blogging can be! Audrey's 8th Birthday "Baby Animal" Party! My sweet girl turned 8 years old! She has always loved anything tiny! Tea sets, toys, and animals. 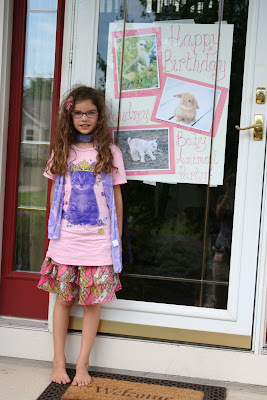 So she decided to have a Baby Animal Party. It was so fun planning this special surprise for her! 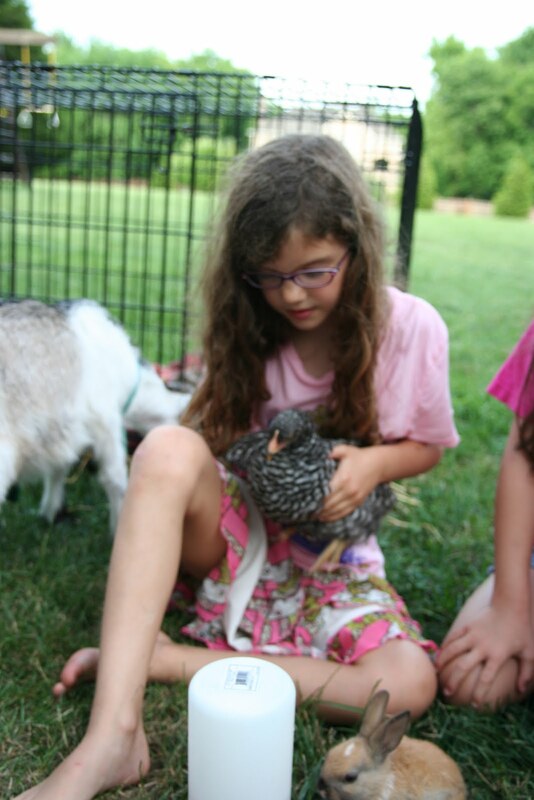 When I took this picture before the party - little did Audrey know that she would soon be playing with a baby goat, bunny & chick! 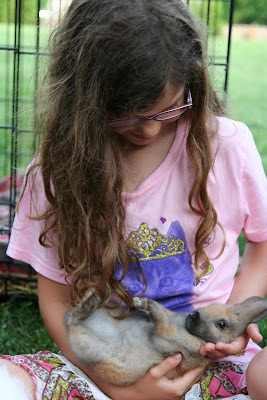 My wonderful friend's daughter Cassidy "showed" the baby animals. She's very involved in the 4-H club. 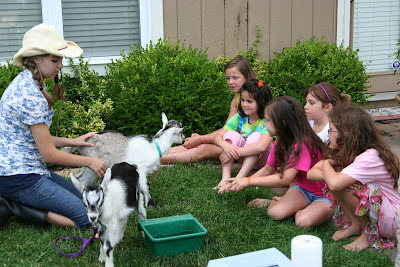 She actually helped birth these baby goats. Thank you, you darling girl! 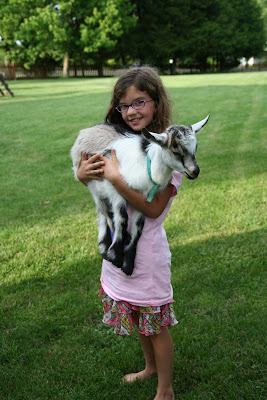 Audrey got to name this baby goat. She thought and thought, then decided on "Popsicle". 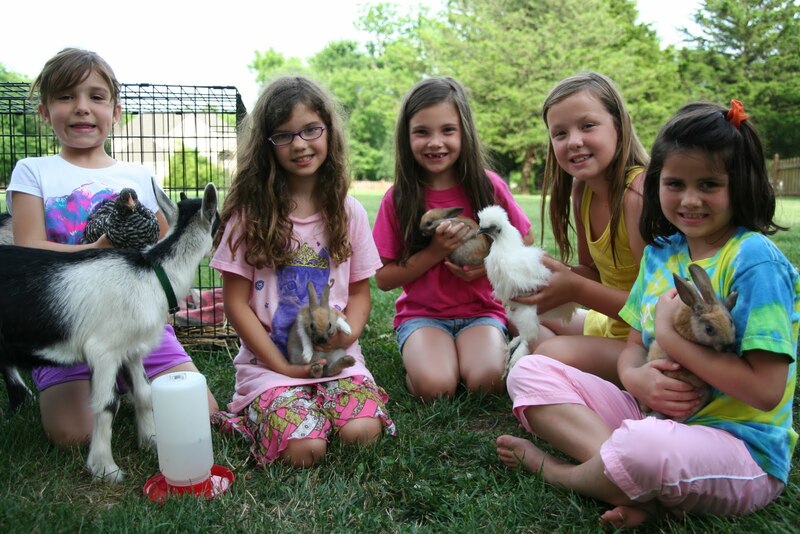 We have had a great start to our summer! We have had nice, hot weather - perfect for the pool! And, perfect for the Slip N Slide in the yard! Tess continues to make leaps and bounds in her English! She has little phrases she uses all the time. Like, "Last time..." "But Mommy..." "I'm too little to do..." "That's too tricky for me!" Sweet baby girl! As I am typing this she is doing a puzzle and singing at the top of her voice, "The Ants go Marching Down" I have a couple of pictures I took last Friday of Tess at her school. She started going to pre-school in January. It's one day a week for 3 hours. I call it "puppy class". There are more speech pathologists and PT's than kids! We're so sad it's over! Her last day is this Friday. 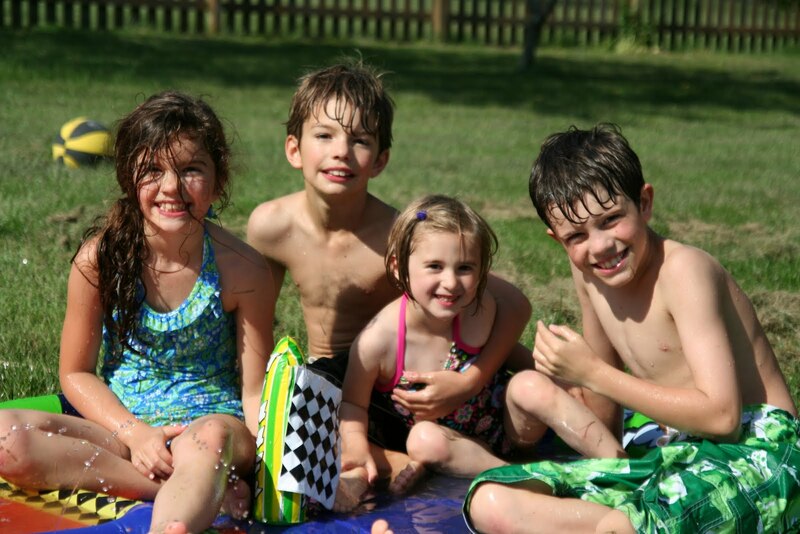 But, we are so ready for summer here at our house! One more week! 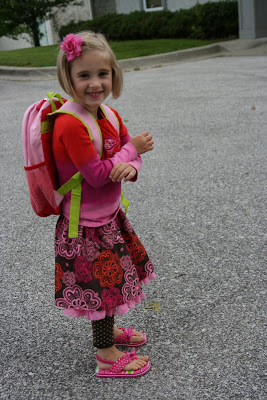 All smiles with her Strawberry Shortcake backpack! 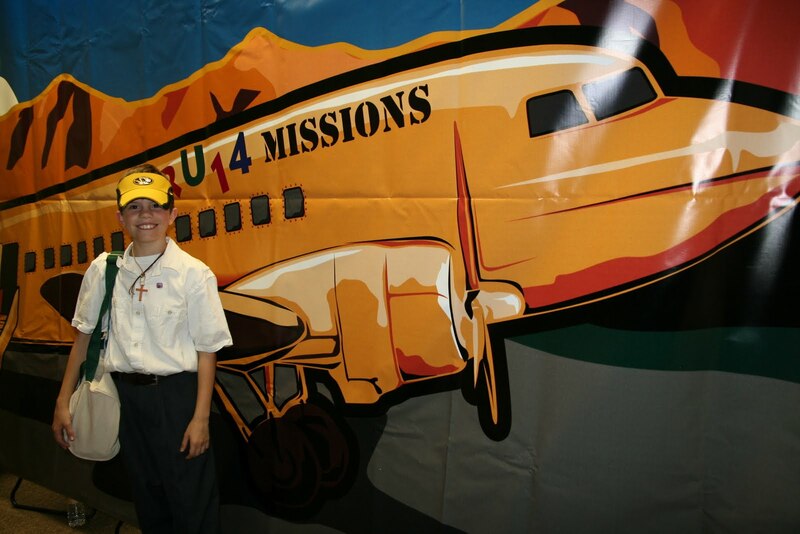 Blake went on a pretend "Missions Trip" to Africa with his class at school. He did "security". I have been going through the zillion pictures I took in California. This is not the best one, but it made me laugh. We were having a "photo shoot" on the beach and they were all getting winey. So, I said, "Who wants candy?" The three big kids straighten up real quick and faked being snuggled and cute. 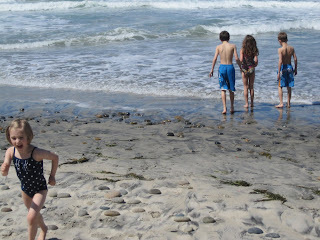 But Tess jumped infront, raised her hand and yelled, "Meeee"! For the past couple years, after I drop the kids off at school, many times I take a "scenic route" home and just drive by different pieces of land. We have always thought it would be cool to build a house on a few acres someday. As crazy as it sounds - about a year and a half ago I just started knocking on people's doors. If there was a raw chunk of land, I would go to the nearest house and try to find out who owned it. I had a TON of people tell me they would sell us some acreage, but there was always a problem with it. Too rocky, a flood zone, an easement through it, etc. One time the property was actually too close to an "ancient" cemetery and could not be built on w/in so many feet of the graves. Spooky! Anyway, on one such day in October of 2008 I drove down a gravel driveway that lead through trees and found a little house tucked back in about 1/4 mile off the road. I went up and knocked on the door. (Yes, I am very nervy!) The sweetest people in the world came to the door. I asked it they would be interested in selling their land. They told me that their kids (who are our age) had moved to Colorado and they had sometimes talked of moving there. The women actually said, "I have always said that the only way I would leave this place was if someone came up and knocked on my door!" And so started our relationship with the beautiful 7 acres of land. Now the problem was we were in limbo with Russia at the time. We thought we were heading to go get "Tess" (the abstract Tess) at any time. The couple told us to take our time and keep them informed. In the past year and a half we have visited them about 5 or 6 times. The kids have been there and played in the woods. It just seemed right, you know? We really feel like God lead us to the land - obviously! So, last Friday we put our house up for sale in this crazy housing market. On Saturday we had a couple come look at it and said they're very interested. We have also had about 5 other phone calls and emails. So, we'll just wait and see. It is so extremely hard to leave our house in many ways! We LOVE our neighbors! Our kids' sweet friends live here. My girlfriends are here. We have the consolation that we will only live 5 miles away. But, it's not the same and just walking across the street. Plus, our blood, sweat and tears are in this house! We have changed every single room top to bottom. Literally! 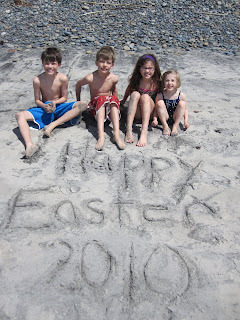 Plus, when we moved here Blake was 2 1/2, Will was 16 months and Audrey was 10 days old! This has been our life for the past 8 years. Just brings a lump to my throat. We are praying the Lord will bring the perfect family to live here and enjoy it as much as we have. And we feel confident this is the right move at the right time. Tess is nice and settled. That would not be an issue at all. Seriously, God is so good to us. I just cannot believe that we have the chance to live in such a beautiful piece of His creation! If everything goes as planned, we will be building a house around the existing house. We need bedrooms and a family room. It will be a very interesting challenge. Rob has a ton load of ideas running through his mind. If you know of someone in the Kansas City area wanting to buy, send them our way! Our house has 4+ bedrooms and our yard is one acre. Then, direct them to our house blog! It's been way too long since my last post! Oh my goodness! So much going on! 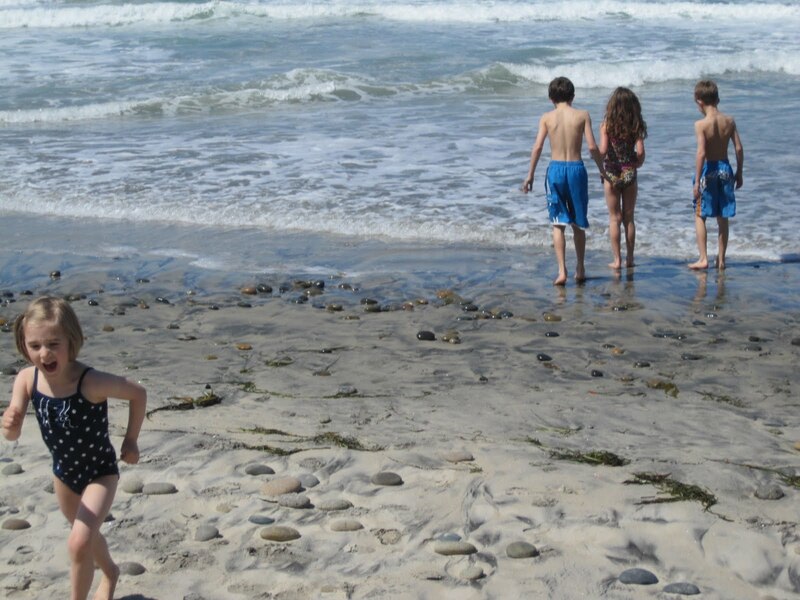 We took a vacation to San Diego a couple weeks ago. It was perfect! Tess loved it. It took her a couple days to used to being "dirty" with all the sand. She loved the pool and ocean. Although she really threw a fit the first few times I put shorts on her, she ended up telling me, "Me likes short pants!" I took over 700 pictures. I know it's crazy! But, you just have to capture the moments!! I really haven't had a chance to go through everything. So, here are a couple that each tell a story. I'll post more soon. About 30 minutes after we took this picture we felt the 7.2 earthquake in Mexico. It lasted about 30 seconds. It felt like we were standing on a dock in very wavy water. Turned out it was a big one, but we actually didn't know to be impressed! 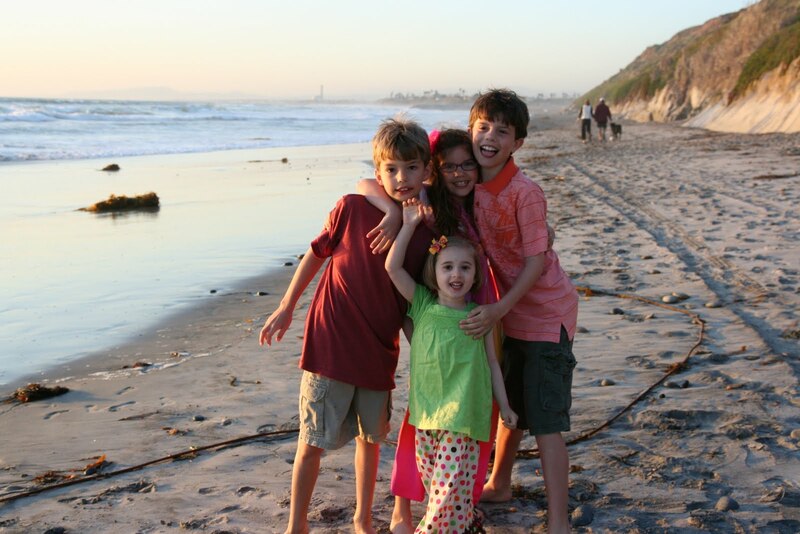 Welcome to our family's blog! We are Rob & Angela Knight. We've been married for 14 years and have four darling kiddos who are 4, 8, 9 & 10. Our youngest was adopted from Vladimir, Russia in September, 2009. 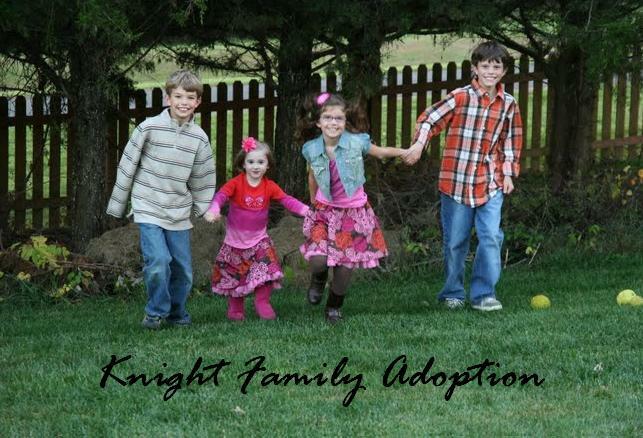 Hopefully this blog will update our friends and help other families through their adoption. God is good - He holds time in His hands. THE KIDS LIKE TO SAY THEY EACH HAVE A MATCH! Happy New Year from Casa Chaos! WHAT?! NO WAY! HE'S EIGHT?! Growing like a weed. . .
Oh did we ever have fun! Don't know if anyone reads this still?! Summertime?? What the heck happened to Summer?? 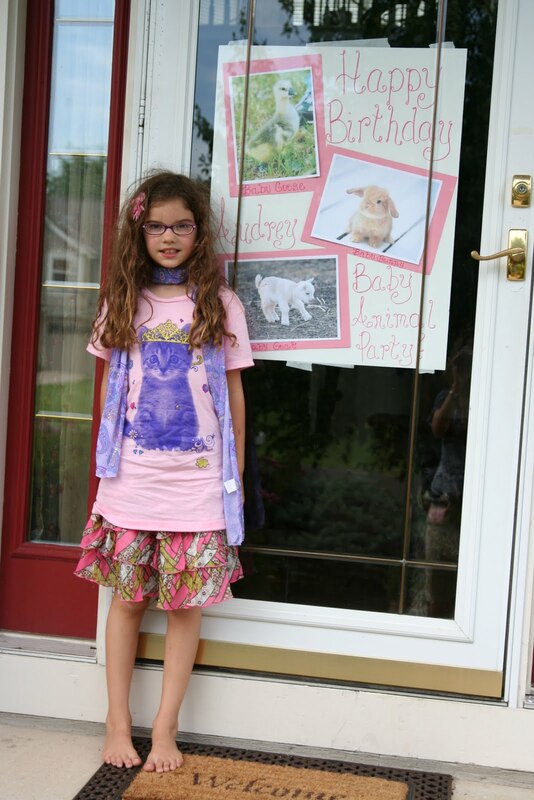 October 30, 2009 ~ Tess is HOME! October 25 - 30, 2009 ~ Final trip to Vladimir! October 4 - 7, 2009 ~ Third Trip to Vladimir, just Angela. Filed paperwork for Tess's passport. September 21, 2009 ~ Court Day! August 27, 2009 ~ Recieved court date! Set for September 21st. August 18, 2009 ~ Meet our new little girl for the first time! August 4, 2009 ~ Registered in Vladimir and recieved travel dates for first trip! July 16, 2009 ~ Recieve referral in Vladimir, Russia! March 30, 2009 ~ Completed and mailed all documents that will expire before October. February 10, 2009 ~ Russia called to have us registered, but we had one expired document. Russia registers another family instead. November 22, 2008 ~ We do not have a referral, afterall. We are on the waiting list again. We won't travel until 2009. October 9, 2008 ~ We are told the respresentative in Astrakhan is "out of town and will not be back until November". So, we will not be traveling to Russia in October. September 23, 2008 ~ Sent remaining Astrakhan "region specific" documents to Moscow. September 10, 2008 ~ Our new little referral!! CHI asks us to travel to Astrakhan in October! The little girl has Asian features, we don't know her age. August 29, 2008 ~ Vladivostok "region specific" documents mailed to Moscow to be added to our registered Dossier. August 18, 2008 ~ The little Asian girl in Vladivostok is adopted domestically. We are on the "waiting family" list again. July 29th, 2008 ~ A set-back. The grandmother of the little girl shows interest in adopting her. We wait until September for the final decision. April 28, 2008 ~ We Got our Referral Call from CHI! "A Little Girl 2 1/2 years old with Asain Features in the Region of Vladivostok"... Travel projected for September.